Lamacchia Realty Inc. is happy to provide the local Dover MA community with their real estate services. Our team has home buyer and home seller agents who specialize in maximizing our clients time and money. Moving can be a stressful time for anyone. We believe that everyone shouldn’t have to over worry about the real estate process. It is our job to get you results as soon as possible along with the best pricing possible. With a population of around 6,000 residents in Dover and many more in the surrounding towns, we understand and are always on top of what the market is. Working closely in these towns allows us to stay informed and on top of everything. Lamacchia Realty is here to help residents in the Dover area sell there home as soon as possible and at the best price possible. Choosing the right real estate agent is one of the more important decisions during the entire real estate process. At Lamacchia Realty we understand that and we want our results to stand behind our work. On top of our knowledgeable and skilled agents, when you work with Lamacchia Realty Inc. you know that your home will be seen. Our supercharged marketing plan follows our plan of getting as many potential buyers eyes on your home as possible. Through television, social media, professional photos, interactive floor plans, other real estate listing sites and more, you know you’ll be found. Lamacchia Realty provides people looking to purchase properties in and around the Dover Massachusetts community. The entire process of buying a new home from looking for your specifics to getting the best deal possible all starts and ends with a reliable real estate agent. Dover, located at Norfolk County in Massachusetts, is a town with a population of about 6,000 people. It lies around 15 miles to the southwestern side of downtown Boston. Dover is also, primarily, a residential town that happens to be positioned on the Charles River’s banks. The median home value in Dover is $1,092,000. Dover has plenty to offer if you are looking for active or passive recreation. The town is home to several parks and each of these parks has something special to offer. To begin with, you can indulge in some off-road bicycling at the Hale Reservation and the Noanet Woodlands. You can also go boating at the Charles River. Most of the boat landings are situated on Claybrook Road’s Riverside Drive and Bridge Street. Some properties even allow dog walks. However, do verify before bringing your pet in. Most parks have rules for dog walking. In general, the owner is expected to have full control over the pet. If you’re interested in Fishing, Hale Reservation and the Channing Pond at Springdale Avenue would be the ideal locations. They provide access to fishing points along the Charles River. Also, remember to get a fishing license at the Dover Town Clerk’s office before fishing at Charles River. Noanet Woodlands, Wylde Woods, and the Hale Reservation also offer horseback riding. You can collect information on the topic from their respective websites. For children, Caryl Park would serve as an ideal location as it is home to quite a few playgrounds. For the last 10 years, Dover has earned the reputation of having some of the best public schools in the state of Massachusetts. Based on Boston Magazine’s research in the years 2013 and 2014, Dover’s schools had ranked number 1 in Massachusetts. Schools in the neighboring town of Sherborn came in second. 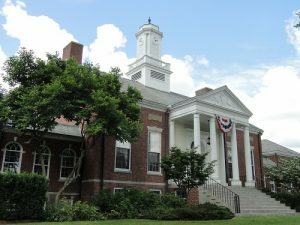 There are 3 public schools in Dover, namely, the Chickering Elementary School, the Dover-Sherborn Middle School, and the Dover-Sherborn High School. The Chickering Elementary School provides schooling from kindergarten to grade 5, while the Dover-Sherborn Middle School offers schooling from grade 6 to grade 8. The Dover-Sherborn High School offers schooling from grade 9 to grade 12. There is also a private school in Dover known as the Charles River School, which offers schooling from Pre-kindergarten to grade 8. The school is situated at the center of the town. The Chickering Elementary School is located close to the Caryl Park and Noanet Woodlands’ entrance. This school falls under the Dover School Committee, which is an elected body. The remaining middle and high schools fall under the management of the Regional School System. The Regional School System is overseen by the Dover-Sherborn Regional School Committee, which is also an elected body. The governance and costs for both these schools is shared between Dover and Sherborn. The Dover Sherborn High School has been ranked by Boston Magazine as number 3, in terms of Cost Efficiency, and 7, in terms of Academic Performance. The school has also earned the title of a Gold Medal School by the U.S. News & World Report, which also ranked the school as the 65th best school in the country.